A native of New York City, cellist Victor Lawrence is currently living in Los Angeles. 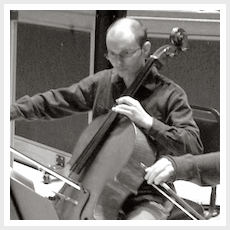 He has worked on more than 250 motion picture and television scores including The Incredibles, Ratatouille, Watchmen, Lost and Fringe with featured cello solos on the Clint Eastwood film Changeling. He has worked on records for artists such as Avril Lavigne, Kelly Clarkson, Carly Simon, Celine Dion and Colbie Caillat. Victor received his Bachelors degree from the Juilliard School and Masters degree from the Manhattan School of Music.